Working in close relationship with the end client and project architect, Goddards produce award winning soft landscape projects on time and within budget. Soft landscaping skills include the specialist planting of semi-mature trees, shrubs and ground cover; as well as turfing, seeding and tree surgery. 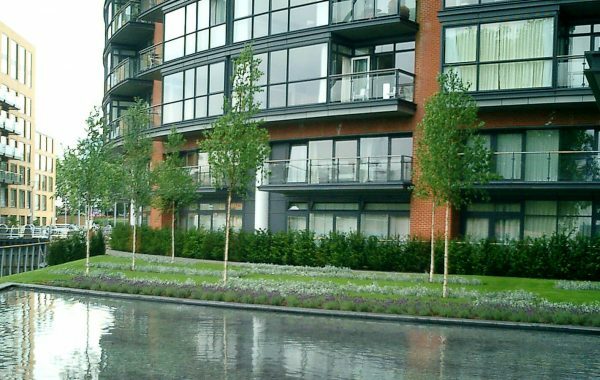 We cover a wide variety of landscaping requirements from new road layouts to school gardens, business park planting to prestige residential developments.